While still experimental, this could be a great option in a society that stigmatizes mental illness. South Korea is plagued by both high rates of suicide and social stigmas surrounding mental health treatment, a situation that makes treating depression challenging. Ybrain, a local startup, has developed a product that they’re hoping will help turn the tide: Mindd, a headband that delivers transcranial direct current stimulation (tDCS) to the frontal lobe. “By objectively recording everyday health markers that were previously reliant on the subjective memory of the patient, we hope to improve the quality of medical treatments,” Ybrain’s founding CEO Lee Ki-won told The Korea Herald. The Mindd headband is very lightweight at only 150 grams (0.03 ounces). Wearers feel a slight tingling as they use the device, but it is not painful or uncomfortable. Clinical trials are now underway at Harvard Medical School, and the headband has so far been used in 12 hospitals in South Korea. As of now, the treatment has not caused any reported side effects and has been shown to be effective. Ybrain is among the current wave of startups that are focused on health-related technologies all over the world. Startups are developing smart drugs, nootropic stacks, gene therapies, smart tampons, three parent babies, and maybe even eternal youth. 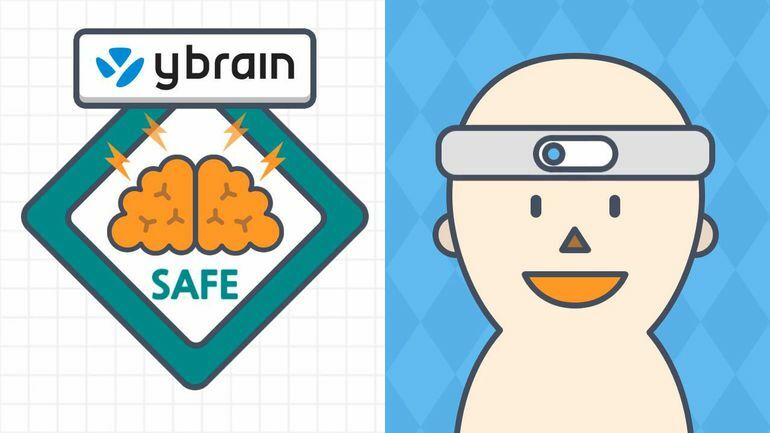 Ybrain has been around since 2013 when three engineers from Korea Advanced Institute of Science and Technology teamed up with the aim of developing wearable devices capable of treating mental disorders including Alzheimer’s disease and depression. Four years later, Ybrain has raised 10.2 billion won ($9 million), making the commercialized version of Mindd possible. The results from the clinical trials are promising, although tDCS is still in its early stages as a treatment. Ybrain hopes to bring the device and its app to the American public in 2019.